Legohippie has made this terrific replica of the quintessential emblem of American schools, the Bluebird International school bus. 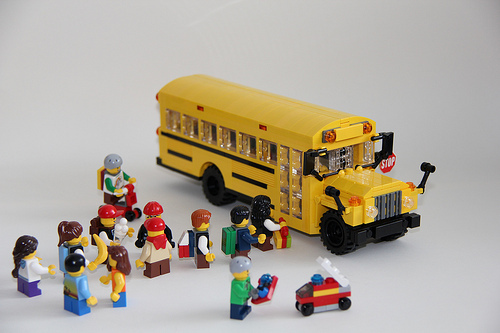 This iconic yellow behemoth is the method of transportation for millions of children every day, and I’ve not seen a better LEGO version than this one. I really wish LEGO would do a crossing guard with a stop sign in a future minifigure series. Having a stop sign would be so great for builds. I agree, this is terrific, although I’m also partial to my own. Wow. This, and the other two that were linked to, are all fantastic. I like that the one featured here didn’t let function get in the way of form. I don’t think a minifig scale vehicle needs to “work”. It doesn’t always need working doors, and proper seating. Sometimes capturing the essence is enough.